Posted: Thursday, August 30, 2018. 7:33 pm CST. By BBN Staff: The Ministry of Health today issued a press release in response to a statement by James Brodie and Company Limited (Brodies) on a shipment of pharmaceutical products being denied entry into Belize. The Ministry notes that in July 2017, a Statutory Instrument (SI) was enacted that made provisions for the importation of pharmaceuticals to Belize. That SI required that all labeling and relevant documentation of all pharmaceutical products being imported to Belize must be in English and/or Spanish. The process started in November 2016, with all relevant stakeholders being duly informed of the regulations. According to the Ministry of Health, they had identified five pharmaceutical companies out of 37 that were previously importing products with labels other than English and/or Spanish. Four of those companies had discontinued importation of these products except James Brodie and Company Ltd.
During a pharmacy inspection in Dangriga in April 2018, Primolut N tablets not labeled in English and/or Spanish were found. The pharmacy assistant was able to provide a copy of the invoice from James Brodie & Co. Ltd. (Invoice No. 2143963) for the product. The Ministry also noted that on May 2, 2018, a product verification inspection at Brodies (Regent Street, Belize City) for Primolut N tablets was conducted and more products were found to be labeled in a different language than that required. On June 7, 2018, Brodies provided an inventory list of over 160 products that did not have the required labels. The Ministry says that it did not take any action on these as they were already in the country. Also, in June 2018, Brodies requested importation for one ZIOTIS shipment. An invoice from a company in England was provided showing the products plus shipping and handling. However, the port of shipment loading was Ankara, Turkey which alerted the Ministry that it was not being shipped from England. This shipment was not granted importation approval. Later on June 31, 2018, the Ministry says that it issued a letter to Brodies informing them that any shipment that is on its way will not be allowed into the country unless they have been granted approval prior to its arrival. Brodies proceeded to import the container. A port of entry inspection of the Ziotis shipment showed that all product labels and patient leaflet information were in Turkish; no affixed English or Spanish labels were found. Also noted were changes in names, manufacturer, batch number, and expiry date. There was also a higher quantity than that declared on the invoice for importation. An undeclared product invoice also appeared on the shipment. The Ministry informed that it also met with Brodies to request that the shipment be returned to its supplier knowing that on invoices presented to the Ministry it indicates terms and conditions of delivery and payment: Payable by open account at 60 days from invoice date and certification that the invoice shows that all particulars are true and correct. Which upon inspection, it was observed that all particulars were not true and correct. There were five shipments on hold since June 2018, however, the Ministry released four based on the company’s compromise that they will be submitting all necessary documentation, of which only one has been received. For the ZIOTIS shipment on hold, the Ministry continued its plea to return to its supplier due to the significant discrepancies, but it is regrettable to note that ZIOTIS could not accept the return even after these were flagged. At no time did Brodies clarify these discrepancies to the Ministry, moreover, provide any proof of authenticity and quality of the products. Brodies’ press release also stated that a pharmaceutical company with offices in Belmopan is being allowed to re-label and sell medications not in compliance with the Ministry’s regulations. The Ministry clarifies that NO pharmaceutical company has been authorized to re-label or re-package pharmaceuticals that are not in English and/or Spanish. “The importation of pharmaceuticals in the country is being closely monitored and the public is assured that measures are being taken to ensure there are options available for patients,” the statement emphasizes. The Ministry is currently working on publishing on its website the list of manufacturers and/or products that are available in the country. There is also a procedure set in place for patients who wish to import their medication to the country and also for all those patients who bear a rare disease. 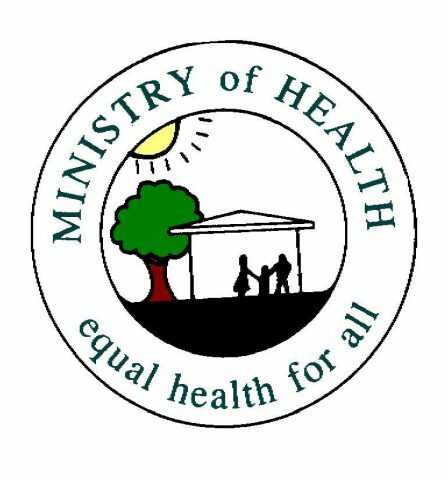 The Ministry of Health says that it has a responsibility to the people of Belize to ensure that the pharmaceuticals distributed are of the highest quality. The public can forward concerns about products found on the market to [email protected].